Council is planning for the future of Fairfield Village, including how we can enhance public spaces, manage development and respond to transport pressures. Community involvement in this project is vital to ensure improvements maintain the valued local village feel of the area, while revitalising and upgrading vital services and infrastructure to position Fairfield Village for long term, sustainable success. Your feedback is helping us to create planning controls for development, local transport solutions and a streetscape masterplan. Projects are proposed for implementation over the next three years. Check out the 'What's On' news feed below for all announcements as projects progress. A new parking plan will make it easier to get a park in the shopping area and help manage parking to balance the needs of businesses, residents and visitors. Feedback on parking plan has closed. View the parking plan and FAQs via the Document Library, right. The Panel Report for Darebin Planning Scheme Amendment C161 Fairfield Village has been received. Council will be considering the recommendations of the Panel Report at the Council meeting scheduled for 24th June 2019. The development of the Streetscape Masterplan is progressing. We are continuing our conversations with the Community Reference Group and other stakeholders to develop the draft plan. Future announcements will be posted on this website. The Panel Report for Darebin Planning Scheme Amendment C161 Fairfield Village has been received. To access the report, please click here. The Council Part A Submission and Expert Evidence documents submitted to the Panel have now been released. Please click here to access the documents. At its meeting on 23 July 2018 Darebin Council considered submissions made in response to the public exhibition of Planning Scheme Amendment C161, which took place from 17 May - 18 June 2018. Thanks to all who participated in the public exhibition and submissions process. There were a total of 10 submissions, with 4 in support of the Amendment and 6 submissions either objecting to, or asking for changes to, the amendment. Council decided to refer the submissions which could not be resolved to an independent planning panel for consideration. Minutes from the Council meeting are available to view on Council's main website www.darebin.vic.gov.au. The independent Planning Panel will conduct a Public Hearing and prepare a report with recommendations for Council's consideration. Dates for the public hearing hearing will be announced soon and published on this page. Only people who lodged a submission to Amendment C161 can appear at the hearing and address the Panel, however all Panel hearings are open to the public to attend and watch. Enquiries: email planningservices@darebin.vic.gov.au or call 8470 8768. Council is changing the planning scheme in Fairfield Village to project local heritage and set requirements for appropriate development. Amendment C161 is now on public exhibition and submissions are invited. The new planning controls include Design and Development and Heritage Overlays. These are based on the Fairfield Village Built Form Guidelines and Fairfield Village Heritage Assessment policy documents which were adopted by Council in December 2017 and which the community helped shape. See www.yoursaydarebin.com.au/our-fairfield for all details. Submissions on Amendment C161 close Monday 18 June 2018. Have your say on the proposed changes to Fairfield parking arrangements! We want to hear your feedback on plans to modify car parking restrictions in and around Fairfield Village. You can also ask questions and provide feedback by emailing transport@darebin.vic.gov.au; or calling 8470 8482. Please provide any feedback by Monday 4 June 2018. Planning controls are on their way for Fairfield Village, with Darebin Council endorsing Amendment C161 to the Darebin Planning Scheme at its meeting on 19 March 2018. Council officers have now lodged the proposed Amendment for authorisation from the Minister for Planning to start a planning scheme amendment process. Amendment C161 proposes to introduce a Design and Development Overlay and Heritage Overlay controls into Fairfield Village to protect places of local heritage significance and set clear requirements for appropriate higher density development, including mandatory 4-5 storey height limits. These controls are based on the Fairfield Village Built Form Guidelines and Fairfield Village Heritage Assessment policy documents which were adopted by Council in December 2017. Minutes from the Council meeting, and copies of the draft Amendment documents being submitted for authorisation, are available to view on Council's main website www.darebin.vic.gov.au. A public exhibition and submissions process for Amendment C161 is expected to start in early May, subject to authorisation being granted. Keep an eye on this project website for announcements and more information about Amendment C161. If you have any questions, please contact us at our.fairfield.village@darebin.vic.gov.au or call the Strategic Planning Unit on 8470 8768. At its meeting on 18 December 2017, Darebin Council reached a key milestone in setting clear directions for appropriate development in Fairfield Village by resolving to adopt the Fairfield Village Built Form Guidelines 2017 and Fairfield Village Heritage Assessment 2017. Council's decision paves the way for Council officers to translate these policy documents into new Darebin Planning Scheme built form and heritage controls. These controls will ensure adequate balance between the history and character of Fairfield Village is maintained in a way that allows for new developments to be introduced respectfully while allowing for growth. 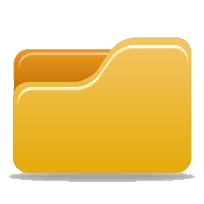 Download the adopted documents from the Document Library. A formal planning scheme amendment process to implement the new controls is expected to commence in March 2018. This process will include a public exhibition period and people will again have the opportunity to comment via a formal submission process. Keep an eye on this project website for further updates. If you have any questions, please contact us at our.fairfield.village@darebin.vic.gov.au or call 8470 8768. In September Council exhibited draft Built Form Guidelines and Heritage recommendations for Fairfield Village and asked you, the community, for feedback on these documents. Many thanks again for everyone's input. A report on the consultation and all the key findings is now available in the project Document Library. The report is an important way for us to let you know how your input has been considered and used. Overall, community response to the exhibited proposals was broadly positive. There were useful suggestions for refinements to the Guidelines to ensure they are fair, clear and practical. We also received helpful submissions on heritage matters, and have been able to work with submitters to resolve those issues. Council officers are now finalising the Built Form Guidelines and Heritage Assessment documents in line with the Key Findings Report and will present them to Council for adoption at its meeting on Monday 18 December 2017. Documents will be published with the Council meeting agenda on Council’s main website www.darebin.vic.gov.au from Wednesday 13 December 2017. Keep an eye on this website for future updates. Thanks for your feedback on Fairfield Village! Many thanks to all members of the Fairfield community and beyond for taking the time to provide us with feedback on the draft Built Form Guidelines and Heritage recommendations Fairfield Village. Your input is invaluable to helping us finalise these important documents for Council adoption, and progress to starting the process to change the Darebin Planning Scheme. We will be reporting back on the results of the consultation soon so keep an eye on this website for updates. The draft documents will remain accessible on the Document Library on this website. If you have any questions, please contact us at our.fairfield.village@darebin.vic.gov.au or call the City Design & Strategic Planning Unit on 8470 8768. What are the Fairfield Village boundaries? What will the Fairfield Village Streetscape Masterplan include? When will the draft Fairfield Village Streetscape Masterplan be ready for community feedback?